With its ultra compact design, the SM series is the perfect solution when space is an issue. At just over an inch across this stringpot provides full stroke measurement ranges from 2½ to 25 inches. A precision plastic hybrid 10kohm delivers a precise voltage divider output signal that is linearly proporttional to the travel of the spring loaded cable. 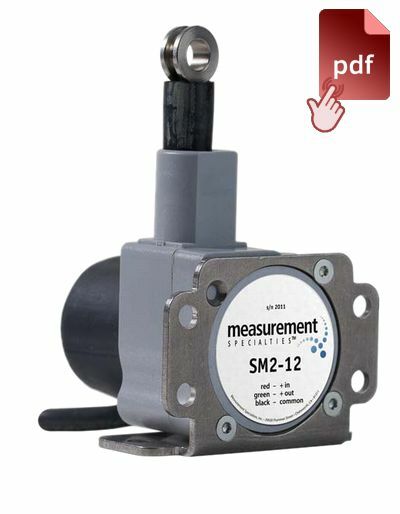 Constructed with a rugged polycarbonate enclosure and free-release tolerant measuring cable, the SM series is the perfect solution for the OEM and single piece user alike.